Our mission is to bring business and education together in a positive working relationship through innovative leadership and career development programs in the preparation of students for careers in business and business-related fields. Are you interested in going on field trips and competing in challenging events? Having the chance to meet people from all over California from peers to professionals that work at places like Google or represent us in the US Congress? How about earning a graduation cord? . . .
FBLA Membership registration. You can still Print/Fill out the Membership application (below) and pay dues. BECOME A PROFESSIONAL FBLA-PBL MEMBER TODAY! On May 2, 2017 at the EGUSD School Board Meeting, the Elk Grove Unified School District Board of Education recognized COHS Future Business Leaders of America (FBLA) on their recent 2017 accomplishments at the Northern CA Sections and State competitions. COHS FBLA Public Relations Officer, Angelina Hernandez placed 3rd in the Job Interview event at FBLA State Competitions held in Sacramento, California April 6-9, 2017! She is now eligible to head to Anaheim to compete with other national finalists in FBLA National Competitions in June. Angelina is CO'S first FBLA member to qualify for a National event . . . .
COHS FBLA Team participates in California State Competitions in Sacramento from April 6th through the 9th! Twelve FBLA members and Adviser, Joy Garibaldi attended this years STATE events! COHS’s FBLA Chapter traveled to Lassen High School in Susanville, CA on Saturday, February 4th. These hardworking students put in the time and dedication, walking away with several awards. Oat Day Officers-at-Training will be on Monday, September 10, 2018 at Colusa Casino Resort Center, California. SLC State Leadership Conference will be April 25-28, 2019 at the Sacramento Convention Center, Sacramento, California, Lodging @ Hyatt and Sheraton Hotels. NLC National Leadership Conference in San Antonio, TX June 29-30 and July 1-2, 2019. Find out what FBLA offers its members for Competitive Events! FBLA competitive events at a glance! FBLA competitive events/how to prepare? SUPPORT COHS FBLA BUY FROM DORMCO TODAY! Seniors! At the end of your senior year you may have planned to go away to college. There will be a lot of you living in dorms. 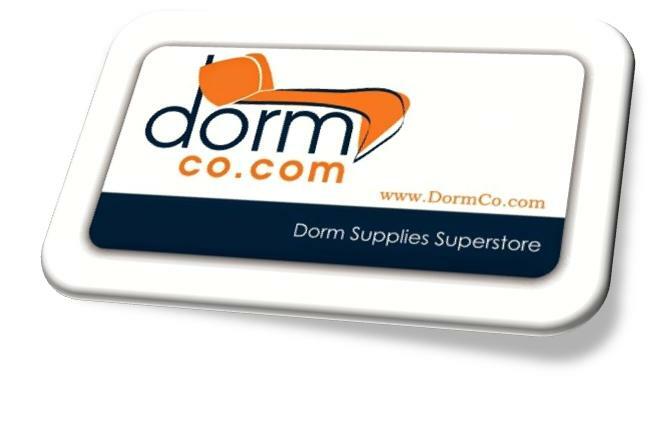 FBLA has a partnership with DormCo, a leading retailer for college dorm essentials. Stop and take a look at what they have to offer!